Samsung has launched its most expensive premium Smartphone recently. This Smartphone will be launched in India on August 23. This premium Smartphone of Samsung has given many such features that makes it better than the latest Apple Smartphone. Let’s know about these 10 features. Let’s first talk about the Samsung Galaxy Note 9’s screen. 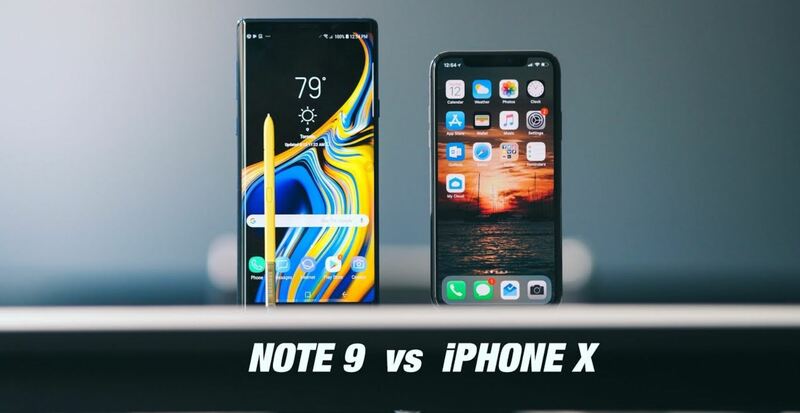 The Samsung Galaxy Note 9 screen is bigger than the iPhone X. The Galaxy Note 9 comes with a 6.4-inch Super AMOLED Infinity Display Quad HD Plus resolution. However, the 5.8-inch display in the iPhone X is given with 1125×2436 pixel resolution. In the Samsung Galaxy Note 9, 8-megapixel selfie camera with f / 1.7 aperture has been given. Whereas, the 7-megapixel camera in iPhone X has been given with f / 2.2 aperture. The Samsung Galaxy Note 9’s top end variant comes with 8 GB RAM. However, in the top end variants of iPhone X, only 3 GB RAM has been given. The Samsung Galaxy Note 9 has 512 GB of internal storage, which can be increased to 1 TB through MicroSD card. However, the iPhone X has an internal storage of 256 GB, which can not be expanded. The Samsung Galaxy Note9 has a power battery of 4,000 mAh. However, 2,716 MAH batteries have been given in iPhone X.
Samsung Galaxy Note 9 features stylish S-Pen, which is great for multi-tasking. At the same time, Apple iPhone X has not given a feature like S-Pen. By connecting the USB Type-C to HDMI dongle in the Samsung Galaxy Note 9, you can use your presentation on the big screen. However, this feature has not been given in iPhone X. However, you will have to spend an additional Rs 10,000 for this dongle of Samsung Galaxy Note 9. Samsung Galaxy Note 9 offers free accessories of 6,000 rupees, including AKG earphones. Whereas, the basic earpod is given with iPhone X.
Samsung Galaxy Note 9 features a regular 3.5mm audio jack. However, iPhone X users have to install the connector to use the 3.5mm regular jack. Samsung Galaxy Note 9 can be launched in India at a price of Rs 67,000. However, the initial price of the iPhone X (64 GB variants) is 95,390 Rupees. Next Xiaomi Poco F1 vs OnePlus 6: What’s The Difference?